If you've just settled into an apartment, it can be hard to imagine that you'll want to move somewhere else one day. After all, you presumably just found a place that suits your needs and that you can afford, and you no doubt are looking forward to enjoying life in your new digs. But, as comfortable and happy as you may feel in your apartment right now, chances are a day will come when you'll start to think about moving again. Whether that day is one year from now or several, you'll have to consider your reasons carefully and decide if searching for a new home or staying put makes sense for you. People have many reasons for moving, ranging from financial to social. Also, although sometimes there's a clear, urgent need to move, it's important to recognize that the desire to move is often a feeling that grows stronger over time. You've outgrown your place. There are a few reasons why you may start to feel that you've outgrown your apartment. It could be that you've accumulated more things and want more space to store, display, or use them all. It's also possible your tastes have changed. For instance, if you've been living in a modest studio apartment, you might decide that you would prefer the layout of a larger one-bedroom apartment. Or, for whatever reason, your apartment no longer seems as big as it did when you first started living in it. Finally, if you've gotten married or have children, or if you plan to do so, then you may decide you need a larger space, including more bedrooms. Keep in mind that it's possible you can move to a different apartment in the same building in which you currently reside. This may be a perfect option if you like your building but just want a different rental, and it can also make moving a little easier. You can no longer afford your rental. 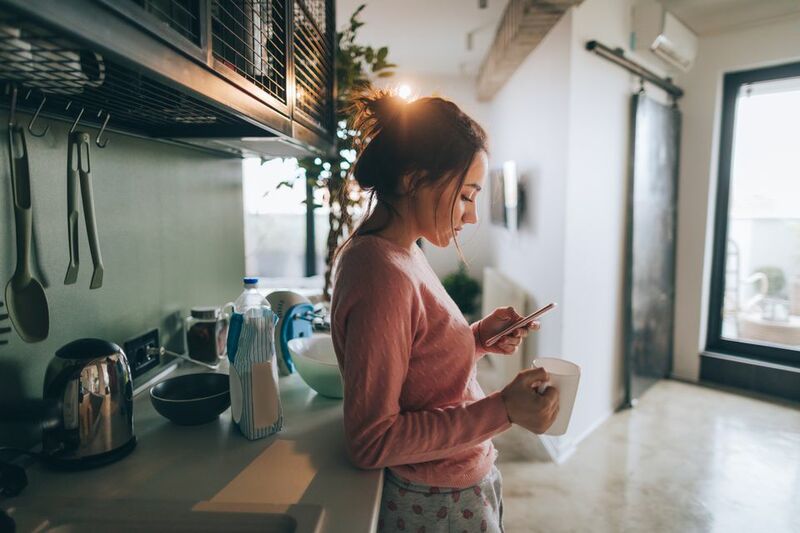 A layoff from work or other unexpected financial difficulties could lead you to worry that you can't afford to live in your apartment for much longer. If that's the case, you may want to consider moving to an apartment with lower rent, whether it's in your building or even in a different neighborhood. Another possible option is to take on a roommate, who would split the rent burden with you. Check out more ways to save money on apartment living. You can now afford a more luxurious rental. If your income has gone up significantly since you signed the lease for your current apartment, or if you've managed to acquire more wealth, you may want to apply more of your money toward living expenses and upgrade to a more luxurious apartment. Even if you're able to spend more on rent than the last time around, it's still important to identify and separate wants from needs to help ensure your next apartment is the right one for you. Your commute is horrible. Sometimes, people finish school and start a new job or switch jobs over the course of their lease term. Whenever you change your routine, there's a chance that your new traveling route will become inconvenient, annoying, or expensive. If you know it's temporary, you may wish to put up with it. Otherwise, you might consider moving to an apartment that's either closer to where you spend your days or that would afford you an easier commute. You want a better neighborhood. As much as you might like your apartment, you may wish to move to a different neighborhood. It could be because your neighborhood has become more susceptible to crime recently, or to live in a certain school district if you have children. It's also possible you've just gotten bored of your neighborhood or find yourself spending much of your free time in a part of town that you would love to live in. The desire to move to what you consider, for whatever reason, to be a better neighborhood may be strong enough to check out some listings there. Something has become too inconvenient. Other than your commute (as mentioned above), there are a number of other aspects of apartment living that could become inconvenient to the point of making you consider moving elsewhere. For example, the parking situation (especially if you're planning to get a car), lack of certain amenities, and proximity to laundry, grocery stores, entertainment, parks, and so on may affect your decision to stay put in your rental. You don't like your building. Unfortunately, some renters move on because they have a problem with one or more aspects of their building. For example, you might not like how it's managed or maintained, you might find that the landlord isn't responsive to your needs, or you might have an ongoing issue with a neighbor. It feels like it's time to move on. It may be difficult to put your finger on exactly why you want to move. For example, perhaps staying in an apartment reminds you of a person you broke up with, or living where you do made sense when you had a certain job or followed certain routines, or maybe it was convenient for visiting someone who has now passed away or moved. It could be a combination of many factors, or simply just a feeling that it's time to move on. As you know, you can move for whatever reason you wish, even if you can't articulate it well. The decision to look for a new apartment is yours. You don't like apartment living. Your experience living in your current apartment (and past apartments, if any) may have brought you to the realization that apartment living just isn't for you, whether you rent or own. It could be for a number of reasons, such as you don't like sharing common areas with neighbors, or you prefer your own garage or yard. If that's the case, you should consider moving to a single-family house.